How does The World’s Best Nose Hair Trimmer work? How does the Bullet work? Does removing nose hair hurt? Why is the Bullet more expensive than some other nose hair trimmers? When waxing and plucking is available, why should I bother with the Bullet? Surely an electric trimmer is going to be more effective than a hand powered trimmer? Why can’t I buy the Bullet in stores? Does the Bullet require maintenance? The Bullet is battery free, you control the cutting action by twisting the base. The precision blades are designed so that they never come in contact with the delicate skin in your nose or ears. The Bullet provides pain free trimming and gently and cleanly removes excess hair. 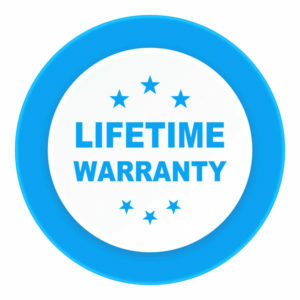 Our trimmers are engineered to last beyond your lifetime, so we can confidently offer a lifetime guarantee. Compare that to the measly 12 month guarantee from inferior trimmers! Because of the ‘bullet-proof’ build quality, cheaper trimmers are made of plastic and other inferior materials. Also the Bullet doesn’t require batteries so it’s cheaper to run. All things considered, the Bullet is outstanding value for money! First of all plucking is painful and can leave an open wound leaving you open to infection. As for waxing? Please, please go ahead, but be sure to video the process and put it on YouTube as a warning to others. Shoving the equivalent of a hedge trimmer up your nose, when all it requires is a gentle trim doesn’t make sense. By cutting out the middleman you save money. With Retailer mark ups, you’d have to pay double the amount we’re offering it to you. As the Bullet is a precision instrument you should avoid banging the blade end, other than that no special treatment is required.